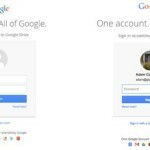 There is a very tricky phishing scam that is making its way around the web. If you use Google Docs for business or even Gmail, please stay vigilant. This phishing scam starts like many other phishing scams: with an email. The malicious message reportedly arrives with the subject line “Documents” or “Documents attached” and points to a Google Docs link. Again, it shows up in the address bar as a google.com domain and takes you to a fake log-in page that looks just like the real Google login page. This is how the hackers get you. Sincethe scam usea a google.com URL and even makes use of Google’s SSL encryption, it’s almost impossible to tell that it’s a hack. Your best safeguard, as always, is a little bit of common sense. Promote your website through Social Media Marketing. Get instant, qualified leads through Google Ads and Facebook Ads. Working with Joanna Dabrowska of Getahead Online has been a real pleasure. She is multi-talented, not only a superb web designer, she also is a skilled manager with impressive inter-personal skills. I recommend Joanna unreservedly. Barbara Duff - "Relationships and Love"
Copyright Getahead Online © 2019. All Rights Reserved. Google PPC Ads get a shift again – Step up your SEO!